View online or download the catalog part of the current issue. 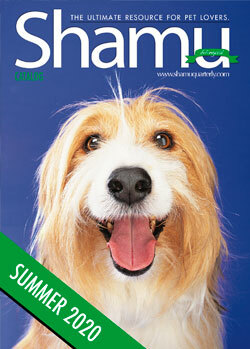 Shamu Quarterly is Thailand's only bilingual, full- color pet magazine. Our goal is to help promote responsible pet ownership and improve the quality of life of every pet. We make it our goal to provide the most up to date and honest information every pet owner should know for the sake of our furry friends. In every issue of Shamu Quarterly you will find all the pros and cons of having pets, training methods, behavioral issues, breed information, and introduction to new and innovative products that will make your life easier and your pets happier. Our team of writers have extensive, first-hand experience with pets in many aspects, so you can always be certain the information you receive is always accurate. The second half of the magazine consists of pet product information and catalog you can order for home or mail delivery throughout Thailand. 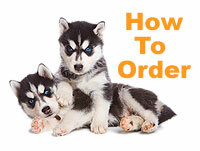 It is updated quarterly with new products both imported and domestic to help living with your pet easier and happier. We pride ourselves in supplying and distributing not the cheapest but the best in quality for those who truly care about their pets. Many products seen in the catalog you will not find anywhere else in Thailand. 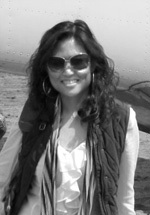 Faye Chueng - Editor, writer & art director. Born in Thailand and raised in New Zealand, England, and the United States, Faye has a degree in computer science but chose to pursue her carrier in the pet industry and writing. As a pet lover, she owns a pack of siberian huskies (and a chocolate lab), Siamese cats, fish and rabbits. Faye's extensive knowledge in the pet industry came from her experience as an owner, a breeder, a groomer, and a handler. Having researched and written articles for Shamu Quarterly for over a decade and hand-picked most of the products for the company, her specialization also includes canine nutrition and breed information. Patrick Bundock - Writer & professional trainer. Patrick Bundock, is an American dog trainer and behaviorist. From 5 generations of dog trainers and handlers, Patrick Bundock has resided in Thailand for 19 years. He consults on dog behavior and is frequently called upon to perform specialized training in other Asian countries. For the past 10 years Patrick has carried out training and caretaking duties for the royal canines of HRH Princess Galyani Vadhana at Le Dix Palace. He now runs a professional training business and dog boarding. Murjani Sowel - Writer & Vet assistant. An American vet assistant and pet lover currently living in the United States, Murjani will update you on the happenings in a pet hospital, bringing you real stories of veterinary visits, problems, and international standard of treatments and diagnostics. Thailand Rescue Dog Association is a non-profit Search and Rescue Dog organization dedicated to providing a K-9 response to emergency service agency requests for locating missing persons and advancing education in search and rescue. Thai-RDA is a current member of the IRO, headquartered in Austria from which it receives periodic training and support. Shamu Quarterly runs articles from the Thai RDA regularly in both Thai and English. Copyright © Shamu Shamu Co.,Ltd. All rights reserved.